Enterprise teams developing their own custom business apps -- often with low-code tools -- has been a growing trend that's nearing the tipping point, with more than half of such apps now being created outside the IT department, a new report indicates. That study was conducted by 451 Research on behalf of FileMaker Inc., an Apple unit whose platform is designed to let business users create custom apps, defined as those designed and built by an organization to fulfill its own specific requirements. Titled "Custom Apps: The Engine for Digital Transformation" (free PDF upon providing registration info), the new report was announced yesterday. Based on a survey of more than 500 companies in North America, the survey was conducted to examine how the creation and deployment of custom apps is driving digital transformations and improving employee engagement. 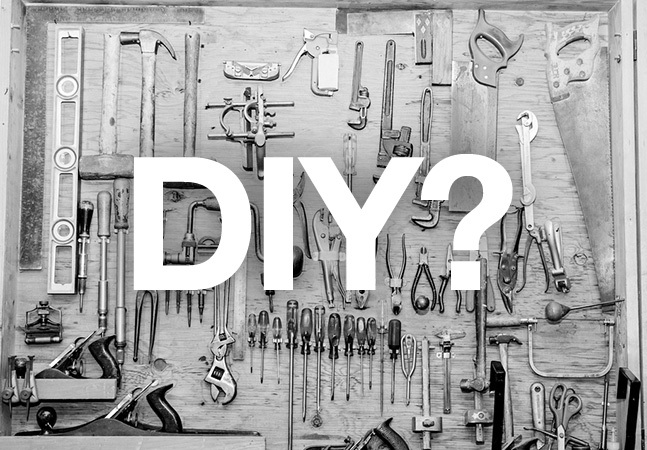 One key finding: Nearly 60 percent of all custom apps are being created outside the IT department. "Of those apps, 30 percent were created by citizen developers -- that is, employees without formal programming training or experience," the report said. "This trend is growing rapidly, as 82 percent of all businesses report that citizen developers are going to become more important to businesses over the next two years." 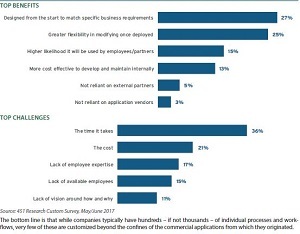 The reasons for this years-long transformation are well known: A dearth of trained developers -- especially for mobile -- in the face of ever-increasing enterprise demand for custom apps to boost business processes. "This shift is already under way as technical responsibility gradually moves beyond the IT department into business units where those closer to the actual business problems are using tools to craft their own solutions," the report said. That's increasingly supplanting the existing predominant model where centralized development shops cater to the needs of various distributed teams. The new approach also reportedly increases employee engagement, with FileMaker saying: "Engagement is driven by greater autonomy and a higher potential to influence business process design and impact, with recognition for those contributions becoming the hallmark of a new employee culture." 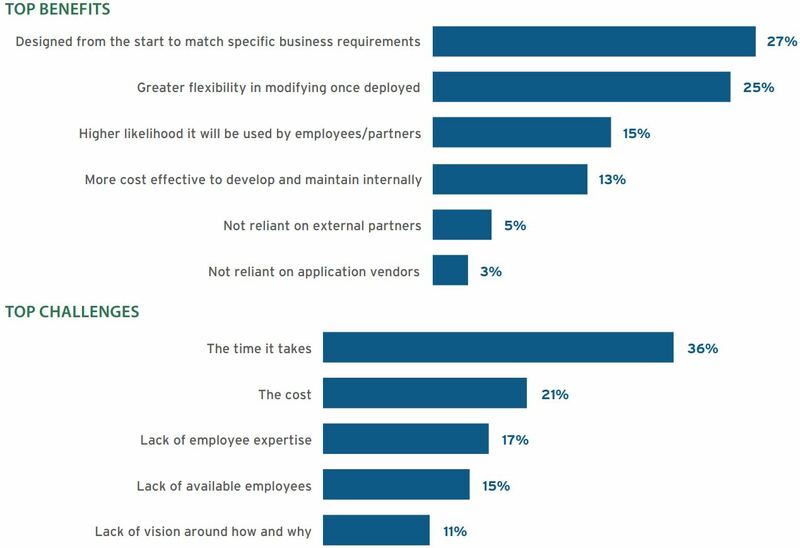 When asked about the top benefits and challenges of this enterprise development shift to custom apps, the top three benefits were listed as: "designed from the start to match specific business requirements" (27 percent of respondents); "greater flexibility in modifying once deployed" (25 percent); and "higher likelihood it will be used by employees/partners" (15 percent). Top challenges, meanwhile, were reported as: "the time it takes (36 percent); "the cost" (21 percent); and "lack of employee expertise" (17 percent). While noting that decentralized app development is gaining ground, FileMaker admitted the practice is not yet the norm, but indicated that perhaps it should be. "The stasis that too often results from politically sensitive organizational silos primed by rigidly focused applications, existing investments and outmoded thinking can lead to new technologies being perceived as more problematic than the impact of not changing at all," the report concluded. "With digital disruption forcing open the gulf between old and new technologies and expectations, this is a dangerous and false notion. "A disengaged, demotivated workforce participating in rigid processes that can't adjust quickly to the changing requirements imposed by digitization directly impacts corporate culture, talent management, innovation, quality of work throughput and competitive differentiation. At a time when digital transformation requires a refresh -- not a deterioration -- of these things, it's imperative to empower those closest to the business questions with the tools to create the digital answers." With all such reports and warnings, industry observers advise they should be considered within their context. FileMaker's tagline states the Apple subsidiary "delivers a unified platform for easily creating custom apps that work seamlessly across iPad, iPhone, Windows, Mac and the Web."